You're finally ready to get serious about being a successful music producer. Keyword is successful. It is time you make it your business and get things done. This will be the year you are ready to produce more, create melodic music with solid musical background knowledge so you can creatively produce the music you dream about. Music Theory 101 Bootcamp Course will introduce students to the theory of music, providing them with the skills needed to understand the basis of playing by ear as well as to understand, analyze, and listen informedly. It will cover material such as scales and chords, rhythm, form and common harmonic progressions. Get rid of confusion with your production skills, learn how to use music theory for your benefit and take your creative skills to the highest level. 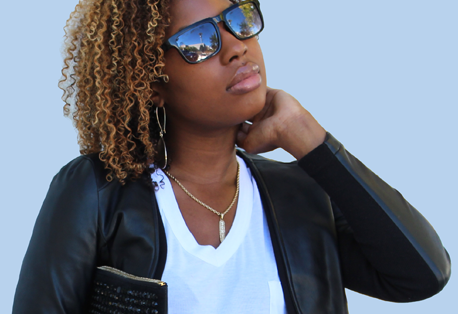 About 8 years ago, I began consulting and training aspiring and successful music producers. Some expressed issues with growing their sound, wanting to execute music in their head and tapping into different genres. The problem wasn't the creativity, it was getting the sound outside their head onto tracks. They had too many sounds in their head be couldn't properly execute it without taking long hours. So they expressed how they would take days to just lay a creative loop and the process would take days to get the ball rolling. Eventually, these music producers were looking for a seamless strategy to create the foundation without taking long hours. Music Theory 101 Bootcamp Course teaches producers the EXACT foundation successful producers use to create banging chord progressions, sounds and hit tracks daily. Music Theory not only changed the way process, it saved money and essentially put money into their pocket quicker. Of course it doesn't happen overnight, but with these 6 modules and a decision to get serious about their craft and made a conscious decision to want more out of their productions. How long does it take to get properly use Music Theory? You can get creative with using the Music Theory systems and processes in 90 days. 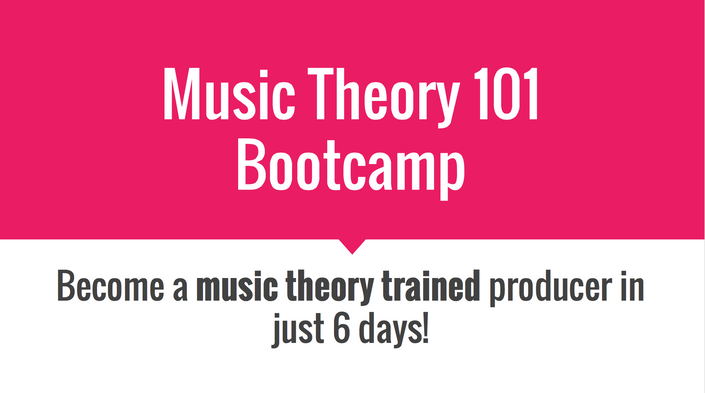 Music Theory 101 Bootcamp will show you EXACTLY how. Become a music theory trained music producer in 6 modules. This is a fast-tracked learning experience to help you get exactly what you need to take your music to the next level. It’s different from The Producer Camp because it’s main focus give you the information you need without spending time learning finger techniques and proper finger placements. This is for the producer who need help grasping how to put keys together and create melodies and chords that fuels their production. + Uncover the secret to when and how to use CRAZY key changes, minor keys, modulating and circle of fifths to create mind blowing bridges you're looking for. If I can be honest, knowing music theory will help you a STANDOUT in your niche. You can't do this on your own or else you would already be using music theory. Make the decision to get serious once and for all and get into The Music Theory 101 Bootcamp Course now. + thinking of a banging melody or chord progression only to stop because you don't know how to get it down on the piano. If you're really ready and not just telling people you're ready to take your music to the next level, music theory is a necessity. The time is NOW. + produce creatively competitive music on a regular basis that your listeners will love? + strategically produce music daily to noticeable increase your production style? + let go of confusion and overwhelm to trade it in for clarity & a strategic strategies of producing music? + create credibility with your fellow music industry team and other experts so you be the go to producer for creative music? LET ME HELP MAKE YOU A MUSIC THEORY TRAINED PRODUCER. MUSIC THEORY 101 BOOTCAMP COURSE NOW. After taking this course you’ll be able to know the fundamentals to communicate with other musicians in the studio. You’ll also be able to save tons of hours by learning exactly what you are and aren’t doing to make your production come alive. After taking this course you’ll be pumped and excited about taking your music to the next level with the theory you’ve learned in just a matter of 6 modules. When does Music Theory 101 Bootcamp course start and finish? The course starts as soon as you purchase along with 15+ page workbook. How long do I have access to Music Theory 101 Bootcamp course? What if I am unhappy with Music Theory 101 Bootcamp course? We would never want you to be unhappy! If you are unsatisfied with your purchase, contact us at info@musicindustryclasses..com with any questions or concerns. Unfortunately, all sales are final after purchase. If you are unsatisfied with the bootcamp and can prove what you learned has not worked and have done the workbook, we'll be happy to give a course credit within 24 hours of the course.